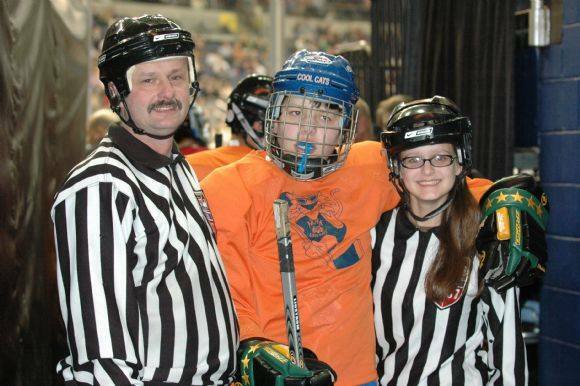 Coach Amanda | NOVA Cool Cats Special Hockey, Inc.
Amanda has been involved in the Cool Cats since the first day it started. Amanda is currently a Level 5 Coach and a Referee. 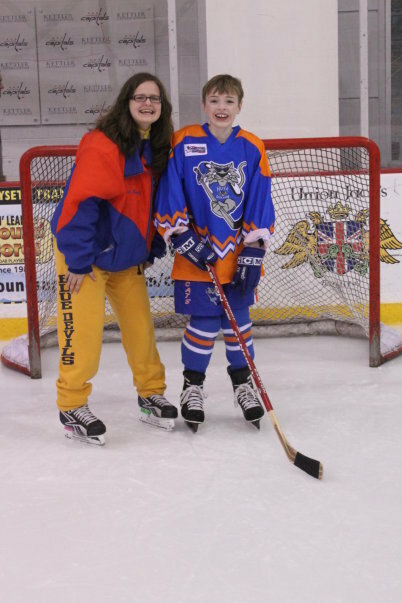 She has played hockey in the Northern Virginia Area since she was in elementary school with the Reston Raiders, Montgomery Blue Devils, Frederick Fury and the Rapids. Amanda has also played ACHA D3 Hockey with Northern Virginia Community College and ACHA D2 with Slippery Rock University. She is also helping coach the Reston Raiders U18 Silver Team. Amanda graduated in 2014 with a Bachelors in Community Programs for Americans with Disabilities; Adapted Physical Activity from Slippery Rock University and is perusing her Master's. She is very excited to be working with the players and is also the Mentor Coordinator and Team Manager for the Cool Cats. She loves working with the team every week and seeing their smiling faces when they accomplish something new. Her favorite memory of Cool Cats the past 11 years is going to the tournaments to see all her friends from other teams and getting to see her best bud Catze!